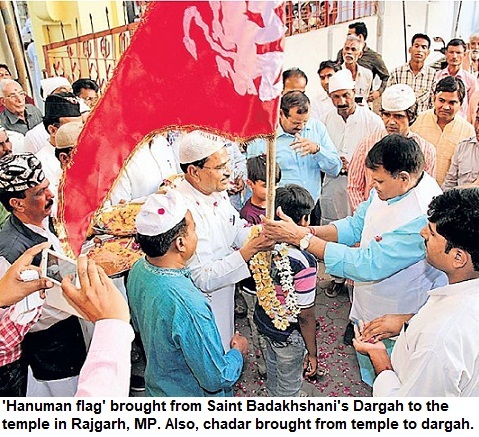 Indscribe's Blog: News and Views about Indian Muslims: Santhara or Sallekhana: Can Jain tradition of Fasting to death be banned? Santhara or Sallekhana: Can Jain tradition of Fasting to death be banned? Even as the Rajasthan High Court is hearing the petition challenging the 2,300 year old Jain practice of Santhara as per which a person decides to stop taking food and water until death in order to attain salvation ['moksha], similar deaths are reported from all over Rajasthan. 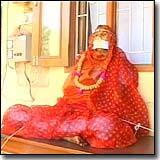 After Vimla Bhansali died by oberving Santhara in Jaipur and Amarchand Kaswan also died in this ritual in Ajmer, now it is Dhani Devi Pugalia who is in her 20th day of Santhara fast in Bikaner. She is member of Terapanthi sub-sect of the Shwetambar sect of Jains, is on deathbed. Meanwhile, Monk Merubhushan has also announced that he will take the similar route to end life. Another lady Keila devi has also vowed the same. And these are just reports from urban areas of Rajasthan. I spoke to a friend of mine whose family had two Sallekhana (the Digambars call it Sallekhana Vrata) recently in MP. Is it a form of suicide, euthanasia or a practice like the Sati that should be stopped legally. Practically, I think it is not easy to stop Santhara. Jainism is one of the oldest religion in the world Mahavir, the last of 24 Tirthankars was a younger contemporary of Gautam Buddha, and Jains claim that India got the name Bharat owing to the name of Bharat, son of first Tirthankar Rishabh. The tradition exists for long and every year hundreds commit sallekhana. Never the need for curb on the practice was felt as Jainism went into near-extinction and was almost considered a part of Hinduism until the revivalism when Jains [mostly Digambar sect] decided to drop their surnames. The commonest of Jain surnames include Shah, Sheth, Lodha, Godha, Khandelwal, Kasliwal, Bakliwal, Baid, Sethia, Sanghvi, Surana, Banthia, Bansal, Bhandari and even some Agarwals. Now, they instead write Jain. Thus Jains became a unique people, a majority of whom [not in Gujarat though where surnames like Shah were not replaced [began writing their religion as their surname to appear more in number. Ever heard a Rajesh Hindu, Salim Musalman or a David Jew! So being a micro-minuscule minority Jains grappled with a serious problem of preserving their identities like their beliefs [they are atheists and don't believe in God], places of worship 'Jinalaya' that is generally known as Jain Mandir and other unique traditions. Can there be a consensus among Jain sects? You can't simple ban the Santhara because it is about a community that is very minor [around 50 lakhs in India or just 0.4% of the country's population] and further divided in sects and sub-sects demographically spread in such a way that a consensus is very difficult. Being less in number, they are more sensistive about their religion and it age old practices. An example is that of Parsis whose number is dwindling [they are barely around 75,000 in India] and still they are not ready to accept half-Parsis [those who marry outside the community] even when their survival is at stake. Apart from the arguments in favour--like the oft-quoted claim that Santhara is not a social evil because both men and women go for it unlike Sati or that it is not forcible and people take the vow themself, there are other aspects to it as well. Firstly, it's illegal and it is surely a crime to take one's own life. Secondly, it is a fact that majority of those who take Santhara are women and often in rural areas, the 'old person who is of no use' goes for it and the family often encourages it because in rural areas they gain prestige and also other monitory benefits in some regions, not all. Thirdly, some other Jain traditions like the practice of making children as monks [a 9-year-old girl was sent by her parents to go and live a celibate ascetic for life] are not entirely agreeable in a free democratic society. The case of the girl was in the court until I knew and her parents and the Jain community claimed that she had herself volunteered to become a monk! Still, voices against Santhara should come from within the Jains. Has anybody heard any voice against it from them? Not a single one. Even the most fiery social activists including women [belonging to Jainism] who keep voicing their concern on all social 'evils' just keep mum when it comes to Santhara or Jain Nuns' plight or the 'deeksha' at an early age. If a Guru's permission is necessary before embarking on Santhara, then the Gurus [Monks] can be urged by governments to not give such a permission. But is it practical? Most Jains believe in Santhara and they consider death as a celebration unlike other communities. Even governments will not be able to force them. A clear majority of Hindus is against Sati today and condemns it. However, it is difficult to find a Jain who does not believe in Santhara tradition. The practice has been existing since time immemorial. Just because of the media boom, people have come to know about it. It could probably have been banned in the years after independence but government can't take such a step just because media is highlight something that is occurring for centuries. Didn't the great emperor Chandragupta Maurya abandon his kingdom and died of Sallekhana? Jains are the most educated community in the country with a vast treasure of literature preserved in their libraries and unless a reformist movement comes out from within, nobody can force a change.